Those who are already dealing with this issue realize that parenting an ADHD child can be challenging. If your child has been diagnosed as ADHD, you are not alone. There are numerous support groups that can be found online and maybe even in your area. The more aware you are of the many aspects of this diagnosis, the better you will be able to advocate for your child. Parenting an ADHD child involves asking yourself some questions. How easily distracted and/or unorganized is your child? Does he or she daydream or lose focus of a conversation easily? Do you notice your child having a difficult time paying attention or staying on task? Is he or she forgetful? Does your child always seem ''on the go''? Is it difficult for him or her to sit still for any period of time, even when the occasion demands it? Does your child talk almost continuously? Is he or she impatient and unable to wait? Does your child interrupt others or call out answers before it is appropriate to do so? Does he or she often blurt out inappropriate statements? Parenting a child with ADHD means understanding what treatments are available and making sure those treatments are working for your child. Keep in mind that there isn't one exact cure-all, and every child is different. A treatment which might work wonders for the child up the street, might be inappropriate for your child. Work closely with your pediatrician, teachers, and other caregivers to ensure that your child is getting the best treatment and care. 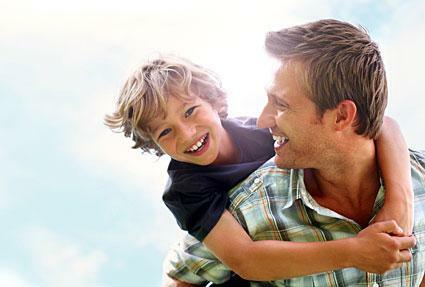 Parents may be called upon to assist with their child's treatment by making multiple lifestyle changes. Behavior Management-In some cases, you may need to discover how to help your child manage inappropriate behaviors. By working closely with a psychiatrist, counselor, or other professional, you can help your child recognize when his behavior is unacceptable. At the same time, you can also learn techniques for emphasizing desired behaviors as well. Counseling-Many children's behavior problems improve significantly once they enter some type of counseling. Counselors can help children understand and change their behaviors, while helping parents learn how to cope. Medication-While not all children diagnosed with ADHD need medication, many respond well to medicinal help. Certain medicines have been found to help children function on a much calmer level. The results of successful medication are not only noticed at home but also at school and in many social areas as well. As a parent, it is important you help your child maintain their appropriate schedule of medication. Parents can have a huge impact on how their children cope with ADHD. Multiple technique exists to help you appropriately parent your ADHD child. Before you can truly help your child, you must learn to accept the fact that he or she has been diagnosed with ADHD. Acceptance doesn't mean that you are succumbing to a terrible circumstance. Instead, acceptance means you are aware of what is ahead, you accept that your child needs assistance, and you are ready to handle all aspects that are associated with the behavior. Remember, you do not have to- and should not- handle this alone. Enlist the help of everyone who is involved in your child's life- spouse, siblings, friends, relatives, doctors, and educators. The more people who accept and jump on board with whatever plan of action has been chosen to help your child, the better your life and your child's life will be. Do you feel as if your day is wholly focused on handling your child's behavior? Do you spend what seems like an exorbitant amount of time advocating for your child? Do you have feelings of guilt because the rest of your family isn't getting as much attention from you? What you are feeling is common among parents of children with ADHD. Parenting an ADHD child can be difficult, but certainly not impossible. Your child may need more of your time than other members of your family, and that is just a fact. You do what you have to do, so don't beat yourself up about it. Patience-Patience is probably the number one character trait that you'll need to develop. Patience will see you through the seemingly impossible times and help you look toward the light at the end of the tunnel. With patience, you will find success. Structure-While every child thrives from routines, a child who has been diagnosed with ADHD needs structure more than ever. It's up to you to establish a structure at home, at school, and in every other area of your child's life, when possible. However, there will be times that structure simply won't happen, so be prepared for those times as well. Time-Behavioral improvements won't happen all at once. When you combine patience with structure and time, you have a recipe for success in your child's life. Patterns and behavior management take time. Allow them time to work in your child's life. Environment-Your child's environment has a lot to do with her behavior. While of course you can't control every situation she encounters, you can make sure that everyone involved in her care is aware of what is necessary to create a positive environment. Instincts-Finally, the most important parenting technique for ADHD involves trusting your instincts. Nobody knows your child better than you do. Finally, parenting an ADHD child can make parents feel isolated. Many mistakenly believe that they are the only ones facing this problem. However, there are a multitude of children who have been diagnosed with ADHD, and help is available. The following Web sites will give you additional help and resources. If you have any questions about whether your child might be exhibiting the symptoms of ADHD, please contact your pediatrician.